I’m not big on New Year’s Resolutions, but I believe in the value of self-reflection and goal setting. The holidays afford me the time to reflect and assess, so I set a few goals for myself that coincided with New Year’s. At the time, these goals seemed really lofty – I wanted to improve my overall health and train for a 5K. Context: I’d never run more than a mile in my entire life and my baby was 3 weeks old when I set this goal. In fact, I’m not even certain I’d run a whole mile start to finish – I always found a way to get out of running in high school gym class. Little by little, day by day, I’ve made small changes. I purchased a gym membership and started going a few times per week. I started logging my food every day, even if I blew my calorie goal. I started small – spending a few minutes on the elliptical, or going to a yoga class, and eventually dared to step on the treadmill. I found something to distract me while running that felt like a reward. I started addressing my negative self-talk and turned off the negative voice telling me that “I am not a runner. I cannot do this.” Yesterday was the first time I braved running outside, off a treadmill, something I’d feared because I didn’t believe I could do it – I didn’t expect to love it so much. Daily, small choices that are easily made are making bigger life changes like tiny grains of sand in an hourglass. I haven’t achieved my goal yet, but I’m growing and soon I will. When I was a little girl, I vividly recall my mom massaging my shins while I cried – they ached terribly at night and within a couple of days I would be a little bit taller. Growing pains happen when you’re growing fast – and sometimes the pain requires that others come alongside you to help you through. Last weekend I picked up a pair of pruning shears and went after the overgrowth in my flowerbeds. I am the world’s worst gardener – I am the grim reaper when it comes to plants – but on the occasional Saturday morning I convince myself I’m amazing and I dare to prune, replant, separate, and plant. Sometimes it’s successful. Anyway, I was reading about pruning (after I had hacked the ever-loving daylights out of the bushes in front of my house) and I learned that while pruning is essential to the health and appearance of a plant, it first wounds the plant. The plant’s response to the wound is what helps it to fill out and reshape so well. As I was pruning, I said to my husband about a dozen times, “I’m certain I’m killing this plant. It will never recover. Will you be upset if this one dies? 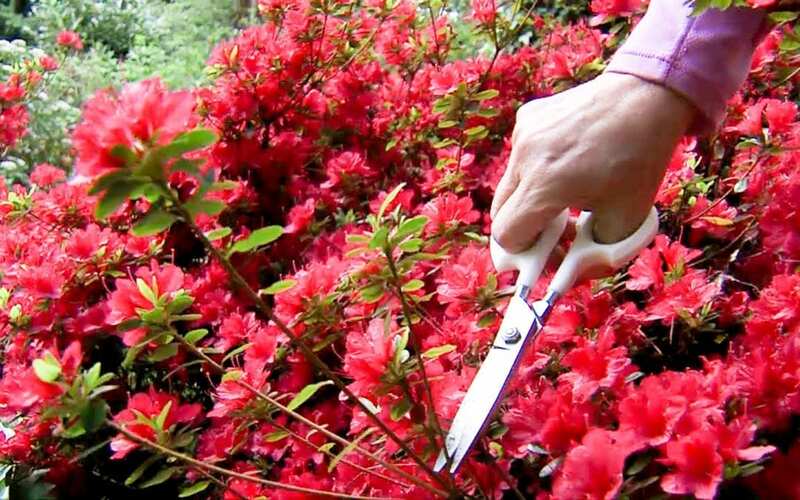 Oh gosh, I’m sure that was one cut too many!” Pruning is scary, and necessary. Every time I take my 3 year old into the doctor’s office for her well visit, I fib. If you haven’t taken a child for a well visit before, or if it’s been awhile, let me tell you how this plays out: you go into the exam room and the nurse checks the child’s vitals and then asks you a barrage of questions about the child’s developmental milestones. Without fail, I’ll be taken by total surprise by a question like, “Does she know she’s a girl?” or “Can she stand on her head and recite the Pledge of Allegiance?” so I fib and say, “Yes, of course she can do that,” and I figure we’ll teach her to do that thing when we get home since I missed the Well Visit Study Guide. The doctor’s office is just trying to check in to measure the child’s growth, of course, because it’s impossible to assess my child without surveying her milestones. As a parent, I do this too, of course, but my milestones are sometimes different from the doctor’s: when that sweet little sleeper is too small, or my daughter surprises me by politely asking for something using a complete sentence, or when I see a picture from a year ago and realize how much older she looks. As we’ve experienced growth at the Renaissance, we are witnessing the milestones that indicate a resurgence of the arts and culture in our region: new faces, new collaborations, a major shift in our community’s conversation, an improved tone in the media, debt reduction, new projects… it goes on and on. The sorts of things that we think are growth are actually the milestones. Growth is happening gradually, behind the scenes, slowly knitting our community together as the staff works late to make something really great, or a family decides to spend their day downtown, or a child feels accepted by their new friends at rehearsal, or a couple shares a laugh together in our lobby. Colleen Cook has been on the staff of the Renaissance Performing Arts Association since 2012, first as the Director of Development and currently as the Director of Marketing and Communications. Before coming to the Renaissance, Colleen obtained her masters degree in Arts Administration at Shenandoah Conservatory, where she also completed graduate work in Contemporary Commercial Voice Pedagogy. 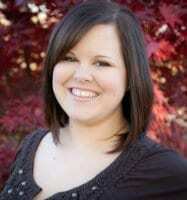 Colleen spends her free time involved with the Richland Young Professionals, the Mansfield/Richland Chamber of Commerce, the Ashland Convention and Visitors Bureau, and Park Street Brethren Church. She enjoys cooking, reading great books, and traveling with her husband, Mike, and 2 daughters, Eloise and Coralie.